A fun way to learn about biodiversity. Introduce your students to the Five Kingdoms through the process of classification. Students view illustrations of various life forms and use a simple, dichotomous key to determine the appropriate kingdom and phylum of each. 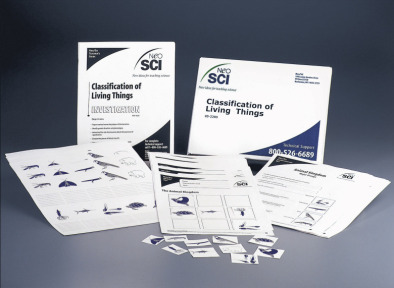 In the process, they'll gather valuable summary information regarding what each life form "does for a living!" Class size -40 students.